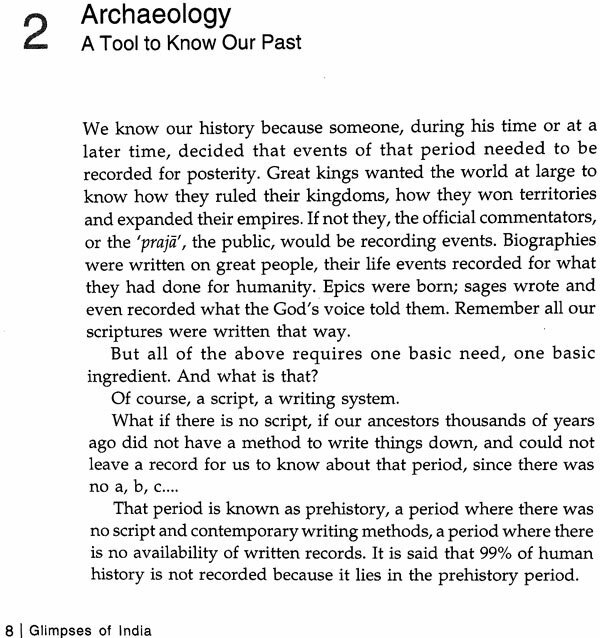 This book is about the history and culture of India 5000 years ago. It aims at reaching out to the common man, from young students to grown-ups, who are not aware of the various discoveries brought forth through excavations since Independence. 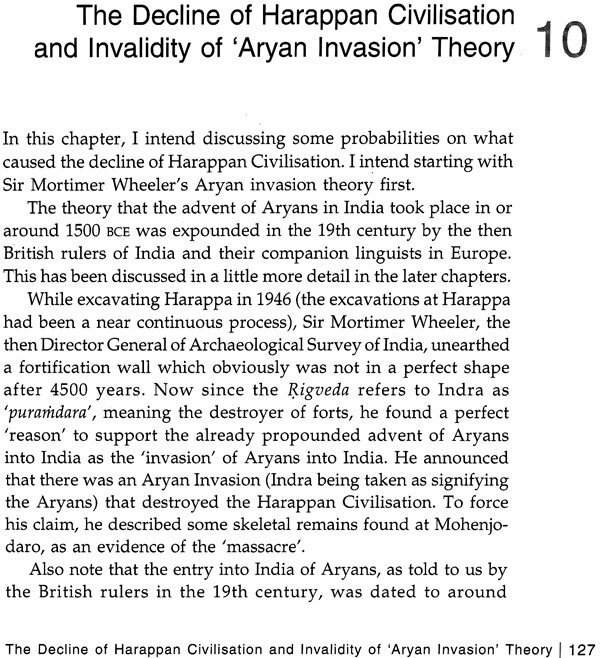 To illustrate the point, students from 1950s onwards have not been taught about the discoveries in the field of archaeology and associated sciences, which have disproved the theory of Aryan Invasion. Therefore, they still say that the Aryans invaded India. As a corollary, they are learning that the Aryans threw out the Dravidians who, according to the Britishers, inhabited the Indus valley till the Aryans came. They still talk about it being the 'Indus Valley Civilization' despite the fact the 'centre of gravity' of this civilization was the Sarasvati valley. The fault lies in our teaching system; reluctance to update the school books and books at university level which continue to 'parrot' the thinking of 1950s. The authorities that be need to accept the mass of professional papers, books and evidences of archaeology, anthropology, geology, archaeo-botany, etc. to set right our history which has been much maligned by the colonial rulers and their protégés that have ruled the Indian teaching systems. 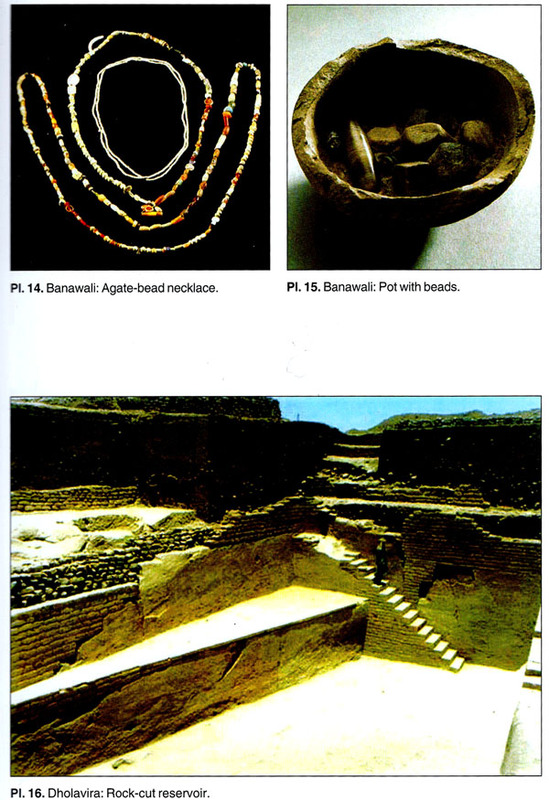 Section I of the book deals extensively with the richness of the Indus-Sarasvati Civilization: its origin, growth and maturity, its town-planning, trade and commerce, artistic creations, etc. Section II exposes the mind-set of the colonial rulers and their agenda to demean Indian civilization. Each one of their theories has been struck down, not in the least by Indian archaeologists but also by professionals all over the world. 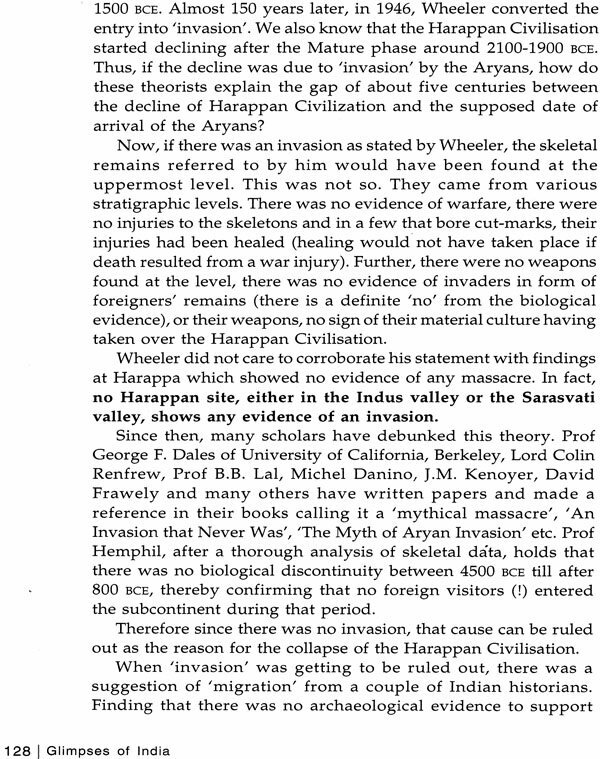 This Section demonstrates in clear terms that the Vedic people were neither 'invaders' nor 'immigrants' but indigenous and they themselves were the authors of the Indus-Sarasvati Civilization. Air Vice Marshal Rajesh Lal (Retd. ), born 1948, was commissioned in the Indian Air Force in 1968 as a fighter pilot. He fought actively in the 1971 war with Pakistan and headed an operational base during the Kargil war. A qualified Flying Instructor, Production Test Pilot and a graduate of National Defence College, India, he commanded a front-line fighter squadron and two fighter bases. He held staff appointments at Command level, Air Headquarters level and at the Ministry of Defense. After retirement in 2006, he completed his Commercial Pilot's Licence and was the Chief Pilot at the Indira Gandhi Rashtriya Udan Akademi. He retired from active flying at the age of 65 with about 8000 hours of flying experience. His interest in archaeology developed when he started assisting his father, Professor B.B. Lal, Padma Bhushan and former Director General of Archaeological Survey of India, in proof-reading his books. With this new love, he hopes to publish a couple of more books on the richness of Indian culture. My father, Professor B. B. Lal, retired as the Director General of Archaeological Survey of India in 1972. He had sought premature retirement after serving four years in that position; his age then was 51 years. The assignment that he held did not permit him to pursue his passion of research and excavation. Having been a part of excavations at Harappa, and having conducted excavations at sites connected with the Mahabharata, he had pursued excavations at Kalibangan in Hanumangarh district of Rajasthan to unravel the Indus-Sarasvati Civilizations on the Indian side of the subcontinent. After retiring, he took up excavations at sites connected with the Ramayana. He wrote extensively to espouse his three passions: that there was no Aryan Invasion or immigration, secondly that the Aryans were actually the Vedic people, and thirdly there is an element of historicity in the epics Ramayana and Mahabharata. Of all the books that he has written and the theories that he has expounded, there has been a fair acceptance of his arguments and no rebuttals have been forthcoming. It is his belief that although the books were meant for scholars, their contents would very much appeal to any average reader who would be interested in knowing our heritage. He wanted a publication which you and I could understand easily, and get to know of our ancient culture which is as old as any other in the world. What is more important is that our culture has withstood the test of times and there exists a continuity of our civilization, which is not so in either the Egyptian or the Mesopotamian context. He, therefore, was keen that our ancient civilization, stupendous in its form and rich in content, be presented in the form of a book in such a manner that general public, including school and college going students, get to know about it. It was also necessary to highlight the aspect of continuity of culture that survived the five millennia of our civilization. He asked me to work on this, and I must state that it is a singular privilege that he trusted me to do this. This book is based on his and associated writings and it has his blessings! As late as the first quarter of the twentieth century, it was believed that the country's civilization was no older than the sixth century BCE and that it had no culture or history that could be dated prior to that century. 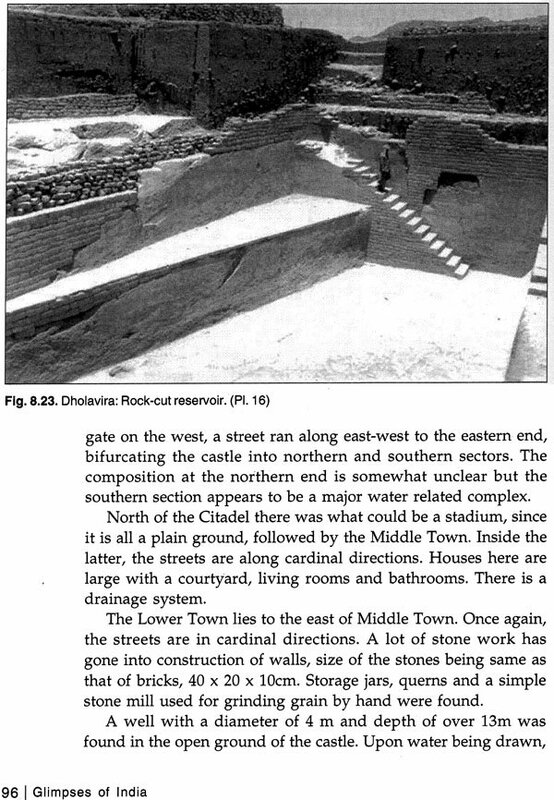 But in 1921, excavations conducted by Rai Bahadur Daya Ram Sahni at Harappa (see Fig. 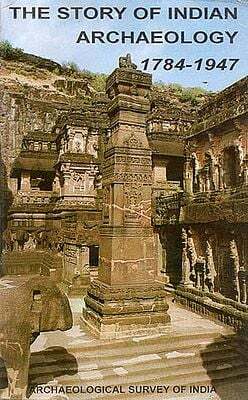 1.1) under the auspices of the Archaeological Survey of India opened up pages of Indian culture and history to third millennium BCE. In the following year, 1922, R.D. Banerji opened up the same chapter of our civilization at another place called Mohenjo-daro. The initial discoveries were sufficient to place this civilization to an era comparable with Egyptian and Mesopotamian civilizations. Further excavations of these sites reaffirmed the historicity of the civilization and made the world take recognition of the fact that India did have a civilization as old as the ones mentioned above. In fact, the area covered by our civilization exceeds the area covered by both the other civilizations combined. Harappa and Mohenjo-daro formed the major sites of what came to be known as the Indus Valley Civilization in the prepartition days. With the partition in 1947, these sites went to Pakistan with practically no site of that era left on the Indian side. What emerged in the years following the partition of India was the unfolding of the civilization contemporary with the Indus Valley Civilization in the then Sarasvati valley, the present day combine of Sarasvati and Ghaggar in Panjab and Rajasthan, and the same river going by the name of Hakra and Nara in Pakistan. Sixty-five years of exploration and excavation by Indian archaeologists along the then Sarasvati and also in Gujarat have produced a large number of sites dating back to similar era and of the same civilization. 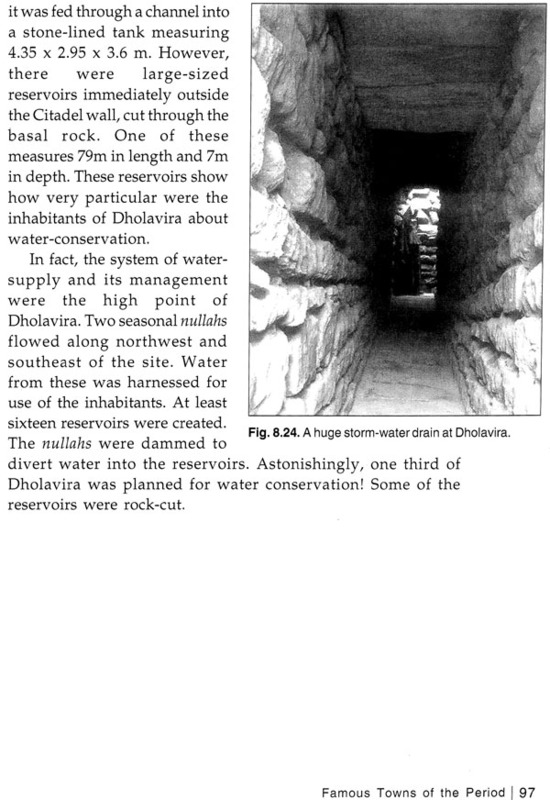 Most notable are Lothal which gave us a dockyard dating back to 2500 BCE, Kalibangan which gave us one and the only excavated ploughed agricultural field in the world and the one and only evidence of an earthquake, both of the same vintage, and Dholavira, the set-up of an ideal city. Text books should now be referring to this civilization as 'the Indus-Sarasvati Civilization and not merely the the Indus Civilization. There is no justification in using the latter term. This is because the Sarasvati valley is indeed the centre of gravity of the civilization containing so many sites associated with the Harappan Civilization, with its western limit being the Indus valley. To still call it The Indus Valley Civilization would be ignorance of post-independence findings through explorations and excavations. These excavations have shown that our civilization is ancient, dating back to some five thousand years and our traditions and culture have continued to flourish despite the passage of time. All of it has been brought out so well in the two books by Prof. B.B. Lal, namely, The Sarasvati Flows On: The Continuity of Indian Culture (2002) and How Deep are the Roots of Indian Civilization? 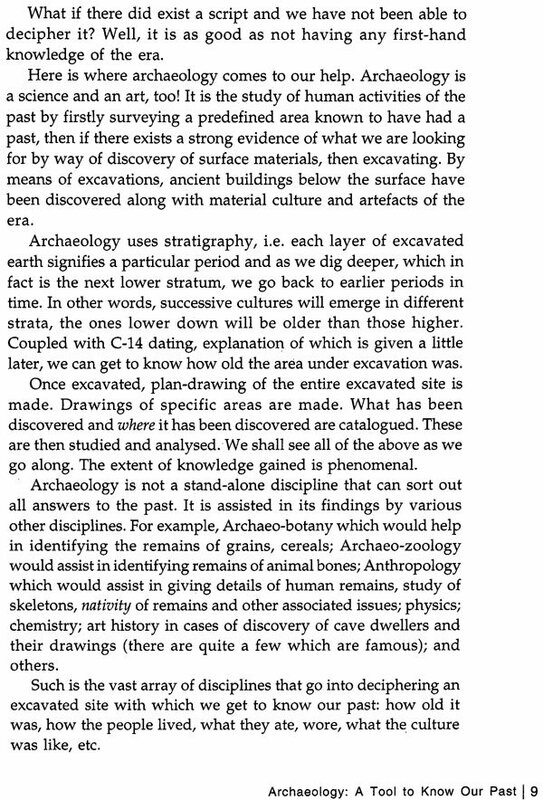 Archaeology Answers (2009). 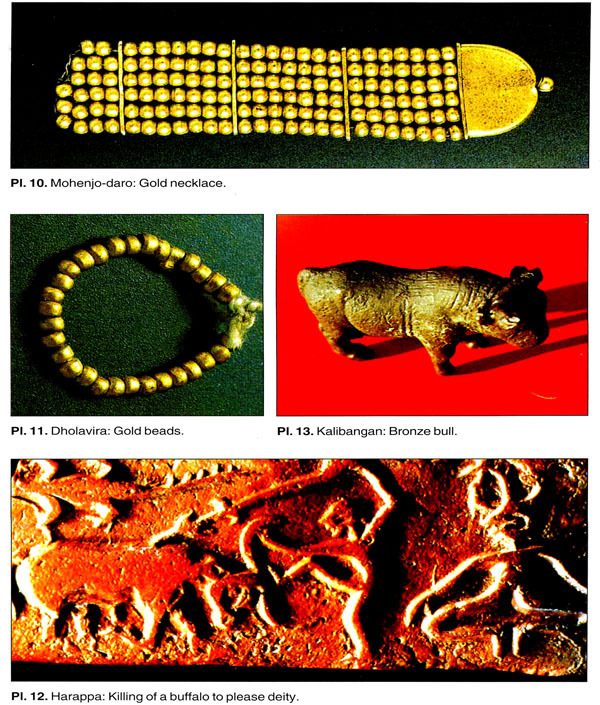 The uniqueness of the Indus-Sarasvati Civilization when compared with those of Egypt and Mesopotamia is that in our civilization, the rich and poor stayed in singular type of city. There was no differentiation except in the location of their quarters. Indian Civilization did not have the pyramids of Egypt or the Royal tombs excavated in the Sumerian city of Ur in Mesopotamia. Indus-Sarasvati settlements that have places designated as citadels did not consist of palaces; however, they had large houses to accommodate the rulers, who appeared to be 'the first among the equals'; the priests, with places of worship, had specific places of residences, and there were residences for the commoners and workers. The pyramids and tombs do not reflect continuity of their civilization. But there is something from the same age that reflects continuity in the Indian context. You will see that as we go through a journey of our heritage. And can there be a more glorious continuity than that the Rigveda, which was passed on by word of mouth from the fifth millennium BCE, and was put into text form when we had learnt to write, is still recited by the priesthood! That reflects the continuity of spirituality, a heritage not only of material but of mind, of God. It will be my effort to bring out this 'continuity' of culture and 'simplicity that is still prevalent across the large swathes of India in this book. You must have also realized that despite being ruled by foreign dynasties and colonizers, how we have withstood the onslaughts of body and mind for nearly a thousand years and two centuries respectively of their rule and at the end of it all, came out with our culture and religion intact. In Section 2 of the book, I have discussed debates related to issues allied to the subject. I have dealt at length on the theories the Britishers espoused when they colonized India. These relate to concept of Indo-Europeans, hijacking of Sanskrit from India to be push-fitted as an Indo-European language, the issues pertaining to the original habitants of this civilization, the Aryan invasion, and their approach to Aryan and Dravidian' race which ended up creating an internal divide in the country, and which still exists. The reason I felt compelled to do this is: I asked a few 60-year old, a few 50-year old, a few 40-year old and a few 30-year old, such people who were not involved in academics but nonetheless professionals in their respective fields if they believed that the Aryans invaded India? The answer in each case was, "Yes, why do you ask this? Weren't you also taught the same in school?" I felt that I needed to add my bit by telling them through this book that there is another opinion and before our text books are re-oriented, they may like to know the changes taking place in the academic world and make them aware as to how there had been a deliberate attempt to distort the history of India. To this end, there are five chapters in the section just mentioned. These are Decline of Harappan Civilization and Invalidity of "Aryan Invasion" Theory, Who were the Inhabitants of the Harappan Civilization, Genesis of the Aryan Invasion Theory: A Piece of "Jigsaw" Push-Fitted into the Mosaic of British Rule in India, Aryan Invasion Theory and Out of India Theory, and 'In Conclusion where I have posed some questions to the proponents of the Aryan Invasion theory. Nearly all quotes mentioned in these chapters are by foreign scholars lest one thinks that views of a particular section of Indian society and the way of thinking are being buttressed. All views and the arguments that I put forward are the result of my own conclusions. I would welcome any sort of feedback to correct myself and enhance my knowledge. I write as an amateur and am proud of our culture and heritage. I do hope that I have been able to put this across in a simple manner so that public at large will be able to appreciate our history.